As an international project forwarding company, we are your reliable partner for special and heavy haulage throughout Europe. Another service we offer is the organization of crane operations. orwarders and industrial companies appreciate our outstanding quality and commitment - there is no order too small, no project too large. 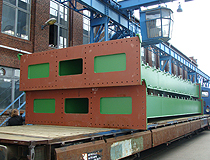 We organize crane operations, support you in customs formalities, develop feasibility studies and always find the perfect transport solution for you. 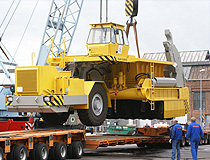 your reliable partner for special and heavy haulage as well as crane operations throughout Europe. Organization, customs formalities, feasibility studies - we always find the perfect transport solution for you.